The Daily Jazz: The Daily Jazz Is Back! My goodness, it's been a while, hasn't it? Not sure what happened there - maybe it was the bad sleeves, but I got up one morning and just didn't want to listen to jazz. No jazz means no blog, but inspired by the fact that at least one of you out there is still reading it, the daily jazz is back. Next up is a more recent track, Cinematic Orchestra's take on the Art Ensemble of Chicago's funky 1970s 'Theme De Yoyo'. A pretty straight reading, albeit with added scratching, but it's damn good to hear young people nowadays getting up to funky jazz shenanigans. More! Soul jazz has always been a fertile ground for finding covers of pop tunes. Many are rather average, while a few are simply awful. 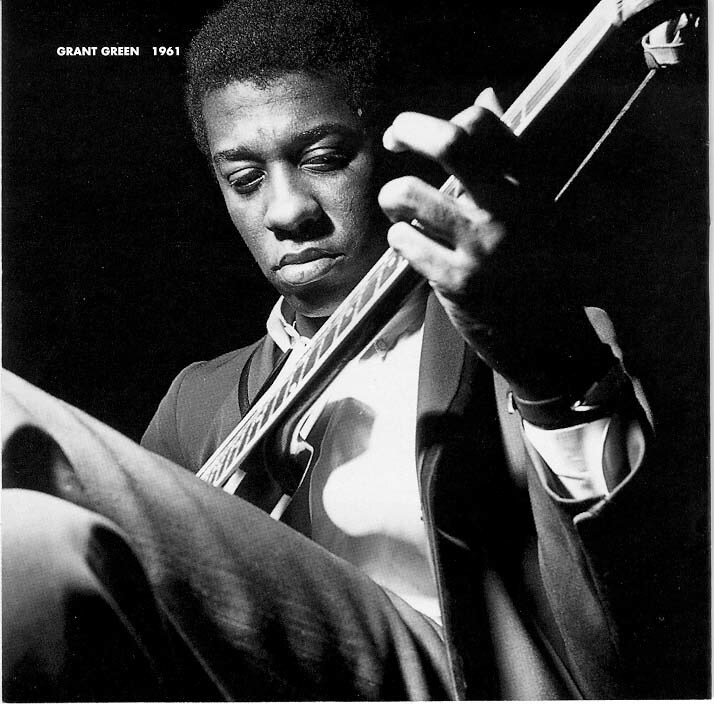 But occasionally they really hit the heights, and Grant Green doing James Brown's "I Don't Want Nobody To Give Me Nothing (Open Up The Door I'll Get It Myself)" can't fail to please. Grant Green. James Brown. Could it get any better? As always, have a listen and see for yourself. Ahhhh. It's good to be back! About time you were back! Now don't do slouching off again. Maybe you need to expand what constitutes jazz? Anyway, i'd add to your list the following covers: Count Basie & His Orchestra - Hang On Sloopy which i have listened to quite a lot recently. It is just jam-packed with energy, nice solos, a very big band sound and it's short and to the point. There are also untold numbers of great Jimmy Smith covers, best of all being Got My Mojo Working, which i wrote about here. And finally, there is Big John Patton's version of Hank Modley's The Turnaround which had got to be one of the most happening pieces of '60s jazz you'll ever hear (and by chance i wrote about this too). There are at least two of us reading what falls out of your barains; See the links page of www.waynemcconnell.com.